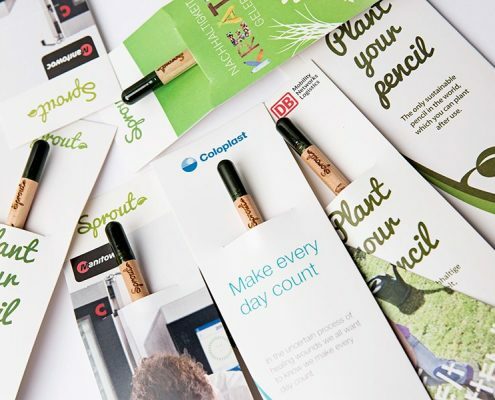 The custom-made Sprout Pencil is the world’s first eco-friendly, sustainable pencil that can be planted after use. A Sprout Pencil contains a water-soluble seed capsule in place of an eraser. When the Sprout Pencil becomes too short to write or colour with, just plant the pencil into some soil then watch it grow into flowers, herbs or vegetables. 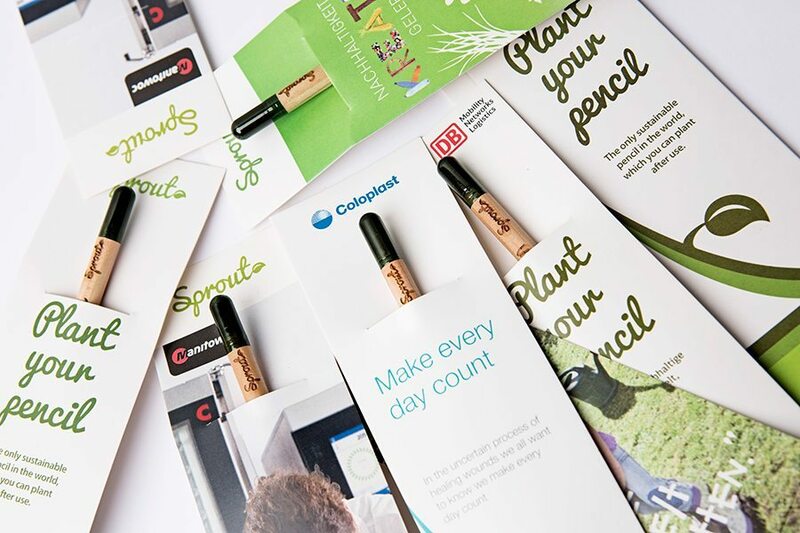 Customise your Sprout Pencils with an engraved logo or message for an original, sustainable way to promote awareness of your business or organisation. 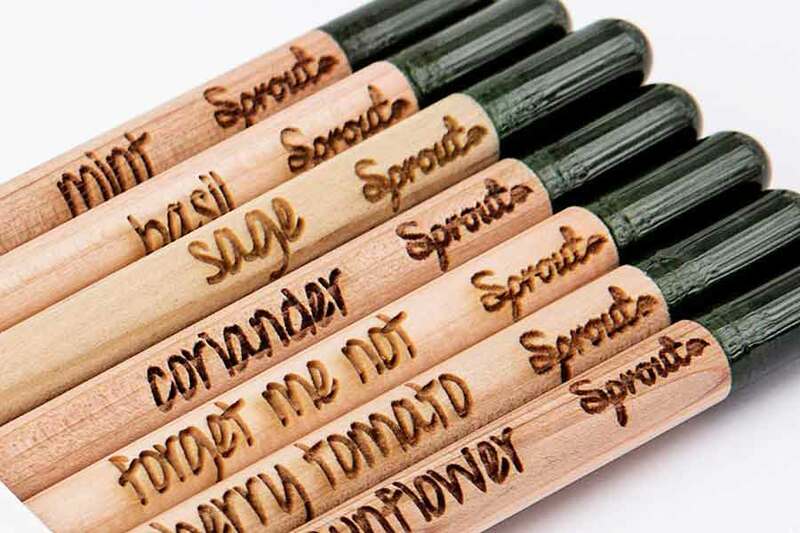 The Sprout Pencils can be customised by engraving a logo or short message onto the pencil. For orders of 2,500 and more we can offer full-colour personalised packaging. Choose from a wide choice of Seed varieties: Sunflower, basil, coriander, mint, lavender, sage, thyme, cherry tomato, green pepper, marigold, forget me not, calendula, strawberry, sweet pea and chilli. 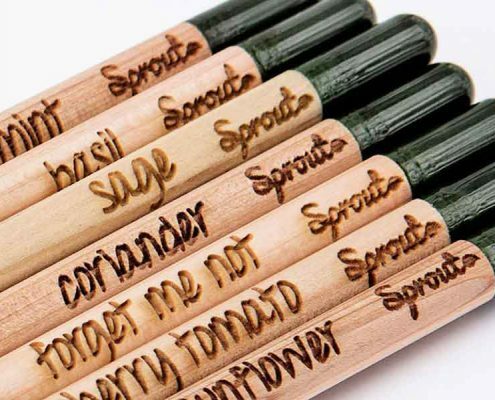 Every pencil has a laser engraving indicating which plant seed is inside the pencil as well as the Sprout logo. Colour pencils are available with 12 different plants. Each plant has its own colour. Text or logo must be supplied as text or in a JPG/PDF/Illustrator – minimum 300dpi.